Download this example as printable PDF or scaleable SVG. 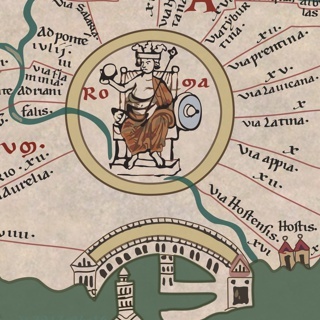 This website wants to inform online about the famous "Tabula Peutingeriana" (Codex Vindobonensis 324). 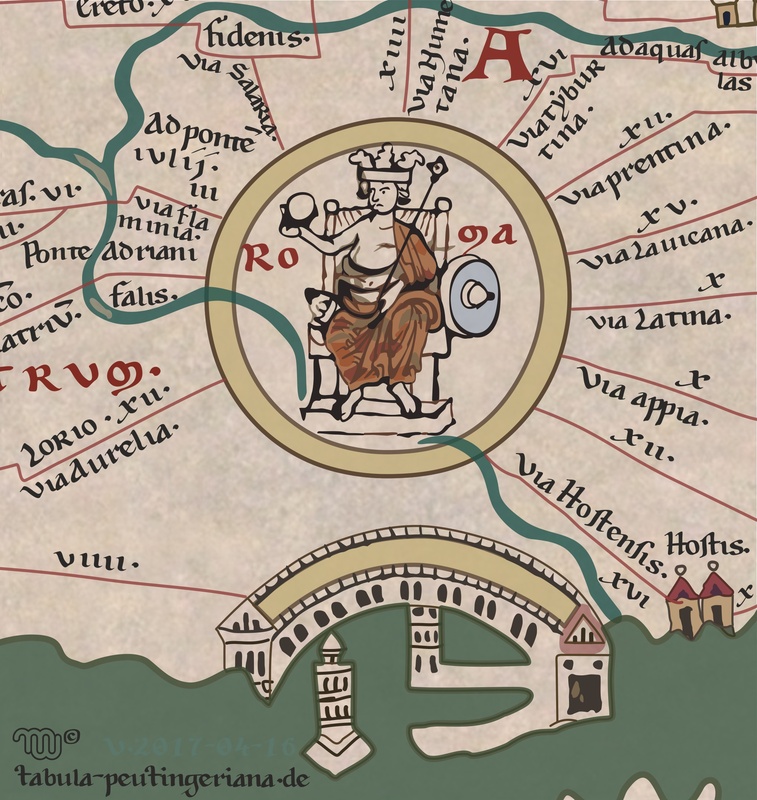 Tabula Peutingeriana is a copy of an old Roadmap of ancient roman road network, called cursus publicus. You get information about placenames and their location on the map at this page. For viewing pictures of the complete segments, use the table above! You can view all segments in the same resolution like on the left. You can enlarge each part by clicking on it. For more information on wikipedia klick here! Here You can find a list of all locations, peoples, regions, islands, mountains and waters mentioned on the tabula. Additionally there are included modern placenames or several informations and references to other sources. Click here to browse the alphabetic Index. 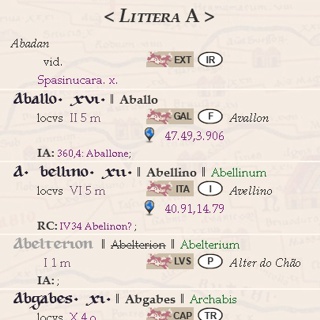 Itinerarium Gaditanum — "Ininerary of Cádiz"
especially developed Windows-fonts (TTF) as used in the tabula. Aid (PDF in german) for reading.